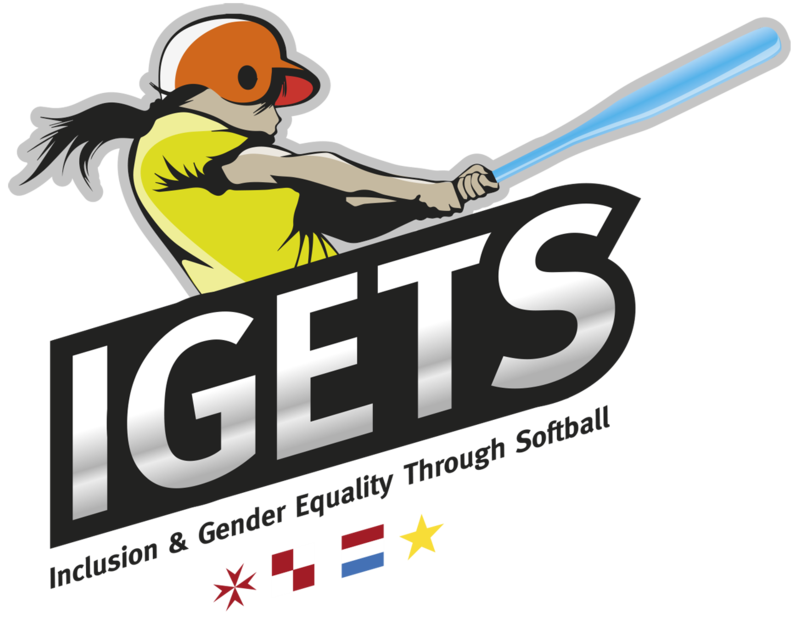 When the Ghajnsielem Redcoats decided to embark on the ambitious Erasmus+ Sports: Small Collaborative Partnerships project, Inclusion & Gender Equality Through Softball (IGETS) it was always understood that the club would reap many benefits. However, the indirect benefits that originate from the exposure the club gets from such a high profile project was very difficult to quantify and as a result such benefits were never taken into consideration. With the project still in its first of two years the Redcoats have already received support from very important organisations in the world of softball. A very key contact established through IGETS has been Tara Henry. Tara Henry, a former UCLA softball player, is the founder of an NGO called RUN THE BASES (RTB). This international organisation combines skills and values based coaching techniques to empower and encourage young athletes to become leaders in sports and in life. RTB decided to hold the pilot program in Gozo in partnership with the Ghajnsielem Redcoats. 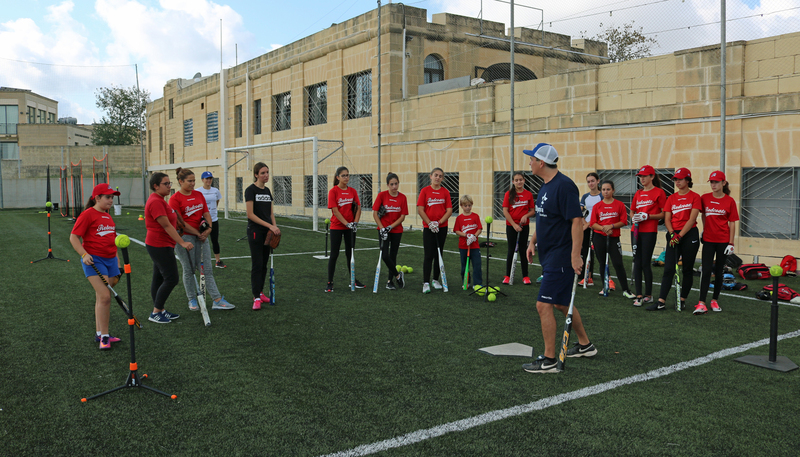 The program also included a softball training camp for the youth softball players of the Club. Accompanying the RTB team was Olympia Haarlem head coach, Stanley Doney from New Zealand, who worked on the young pitching staff of the Redcoats during the first session held on Thursday evening. He was positively surprised with the players and saw plenty of potential in them. Coach Doney also worked with the players during their batting practice session. The first full session of the RTB team was held Friday morning for the youth players of the Redcoats. The focus was batting. Coach Stanley Doney set up various batting station, with each station focusing on a particular part of the mechanics of hitting. For the evening session, Ghajnsielem Redcoats head coach, Tahli Moore, joined the RTB coaching staff for another three-hour session which covered much of the fundamental skills of playing softball. Coach Doney continued to work with the pitchers, fine tuning their motion. The players enjoyed the session and were very much looking forward to the final session on Saturday afternoon. The final session of the RUN THE BASES camp for the youth and women’s softball team players focused on the pre-game routine and the game itself. The softball session was followed with that of the U10 and the U13 players of the club. Several fun games designed by RTB to get the players to embrace RESPECT – LEADERSHIP – COMMUNICATION – INCLUSION were played involving the entire group. Prior to the first session and at the conclusion of the camp a meeting was held with the players who filled out questionnaires giving reason which motivate them to play the game. They were also asked how or what would have made the camp better with many replying that a proper softball field would have made a big difference. Over the coming weeks RTB will decide where to establish their NGO and there is a possibility that the place would be Gozo. Access to a proper softball field where practice sessions and games can be held is obviously a requisite. Should this happen it would be a significant boost not just for the softball program of the Redcoats but also for gender equality and inclusion on the island.